That didn't take long. The jury has only been sitting a day in the latest Apple v. Samsung patent battle and lawyers are already fighting about what's being said in court. 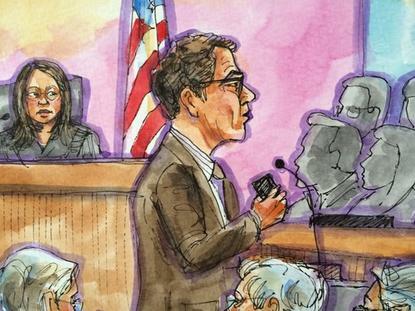 On Thursday, Apple complained to the court that Samsung's opening statement contained "irrelevant, misleading, and even untrue statements that have undoubtedly caused the jury to form impressions that are highly prejudicial to Apple." The spark for Apple's anger was Samsung's repeated assertion that Apple doesn't use all five of the patents in question in its iPhone or iPad products. "Apple itself doesnt even use four of the five," Samsung said in its opening statement Tuesday. "You cant get those features by buying an Apple product. Theyre not in a product. They dont use them." Whether Apple uses the patents shouldn't change the question of whether Samsung infringed them in the 10 products under accusation. But it could affect a potential sales ban or damages award because Apple might have a harder time arguing it lost sales due to Samsung's use of technology it doesn't use itself. The issue of three of the patents and Apple's use of them had already come up in a pretrial motion in early March, when Apple agreed that it would not contend that it uses three of the patents in question. The patents are U.S. Patent 8,074,172, which covers the precise method by which word corrections are suggested while typing, U.S. Patent 6,847,959, which covers a search system that queries data both locally and on the Internet, and U.S. Patent 7,761,414, which covers background data sync. But in agreeing not to contend it uses them, Apple wasn't conceding that it doesn't use them, its lawyers said on Thursday. "Apple has sold and continues to sell products that use each of Apples asserted patents," it said in the filing. "The Courts order limiting Apples ability to contend that it practices the 414, 172, and 959 patents at trial does not (and cannot) permit Samsung to affirmatively present false factual statements to the jury," Apple said. Now that has happened, the court must allow Apple to respond with testimony that it does indeed use the patents in question. Presiding Judge Lucy Koh has given Samsung until the end of the business day Thursday to respond. The issue could be resolved overnight or Friday morning, when the parties are due to meet for the second day of the trial. It began Tuesday and will continue every Monday, Tuesday and Friday throughout most of April. The question cuts to the heart of what lawyers for each side will be arguing about over much of the next month. Patents are highly technical documents and describe in precise terms just how an invention works. Just because a Samsung phone shows suggestions for words while typing doesn't necessarily mean it has infringed the Apple patent in question, and just because the iPhone has a similar feature doesn't necessarily mean it's covered by the Apple patent. Whether infringement has taken place is one of the major questions in front of the jury. The other, should infringement be found, is how much Samsung should pay Apple both for lost sales and royalties. The case is 12-00630, Apple vs. Samsung Electronics et al, at the U.S. District Court for the Northern District of California in San Jose.